Here's another one from that seemingly inexhaustible pipeline of awesomeness that is Ottawa. 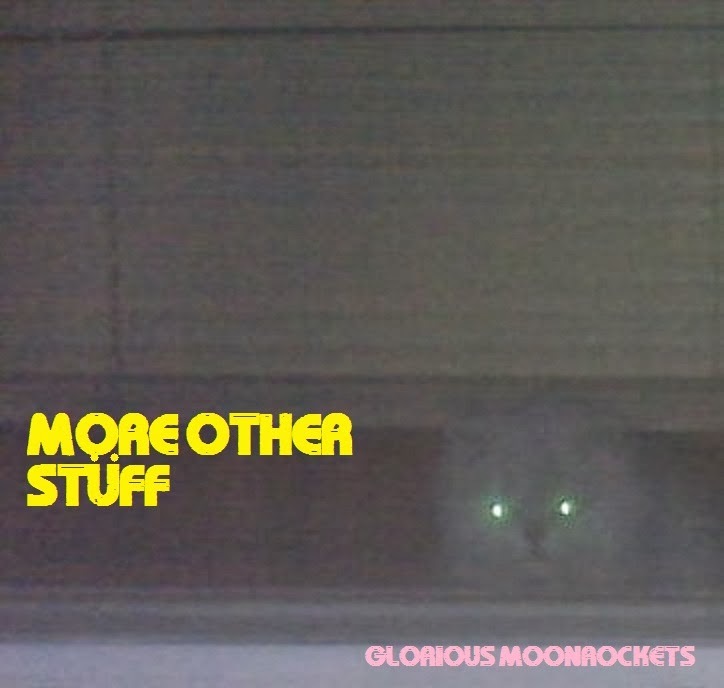 And just in case you thought all those Ottawa bands kinda sounded the same, Glorious MoonRockets will set you straight. In simplified terms, GMR play some dirty rock n' roll. And when I say dirty, I mean filthy. They're close enough to the garage/punk thing to fit within the general parameters of this blog. But in an entirely good way, they're way more "rock" than most of the stuff I usually write about. Think Detroit rock meets stoner sludge meets old school garage racket. These longhairs play the kind of music that you might have called "grunge" back when the term actually meant something. More Other Stuff is the name of their latest EP. And the music, like the title, is nothing fancy. These dudes play loud, with dense riffs that hit harder than a Chris Neil punch to the face. "Down On Their Luck" is a sludgy heavy rock dirge that channels both the MC5 and The Nuge. "3 Dollar Dinner" brings to mind that slice of late '80s indie noise rock that worshiped at the altar of Sabbath and Blue Cheer. "4 Corners" is bruising proto-grunge with a hint of psychedelia. Good stuff - I can't help turning up the volume and wishing I were at the wheel of a '78 Camaro Z28! I will be interested to hear what's next from GMR. In the meantime, you can check out both of the band's EPs via Bandcamp. I bet their amps go to 11.